Y’all, I don’t like applesauce but this stuff is GOOD. 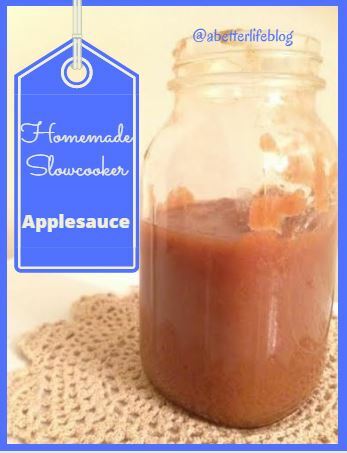 I made it because my son likes applesauce. Now I may never buy applesauce again. It’s so good. It’s really easy. The hardest part is peeling and cutting the apples but if you have one of these Apple Peeler, Corer, Slicers then even that part is a breeze! This recipe would have filled up this quart jar if we hadn’t eaten so much straight from the slow cooker. You can easily double it to fill two jars. I use Gala or Fuji apples. Honeycrisps would probably be good too. If you use larger apples like Red Delicious you may only need 10 but if you get the smaller apples I would do 12. 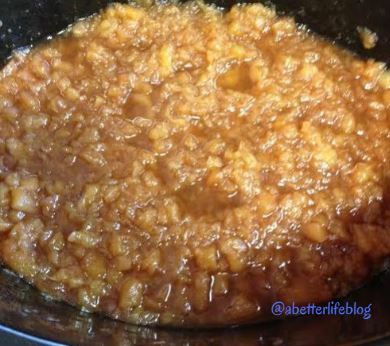 Add water, sugar, cinnamon and vanilla to the slow cooker and mix thoroughly. Turn crock pot on HIGH. Peel and core the apples and cut them into cubes. 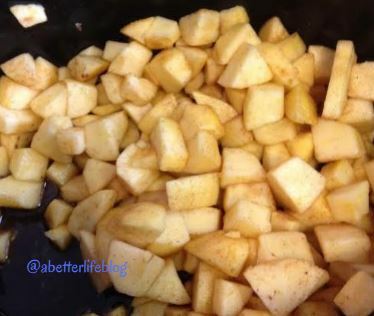 Toss apples in the crock pot and mix. Cover the crock pot and leave covered for 3 to 4 hours. If you prefer your applesauce to have a smoother texture (or your child does because he has texture issues), put it all in a blender and pulse just a little. It won’t take long to turn it into the consistency in the jar above. Make sure you have the right tools for the job! I’m getting this Apple Peeler, Slicer, Corer before I make applesauce again! 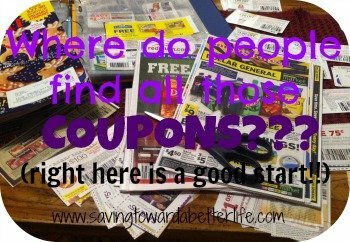 Find more crock pot recipes in one of these great books on Amazon.